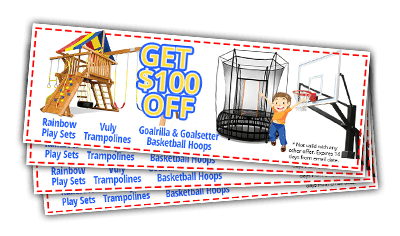 BEST PRICES ON RAINBOW SWINGSETS GUARANTEED! 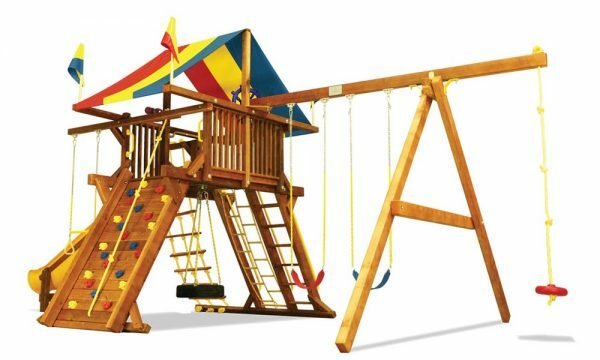 Rainbow Play Systems is a trusted leader in wooden swing sets because of a commitment to quality and safety. 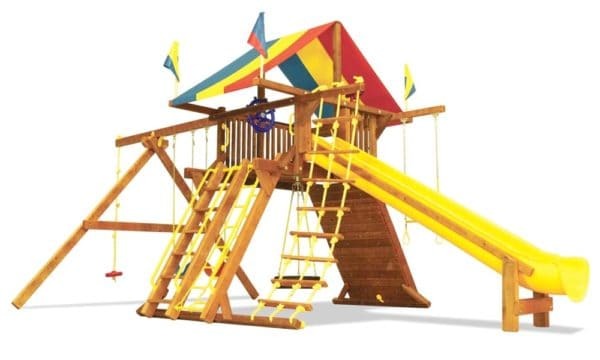 With Rainbow Play swingsets, you can be rest assured that every safety consideration has been tested, evaluated and tested again before ever reaching the finished swing set. 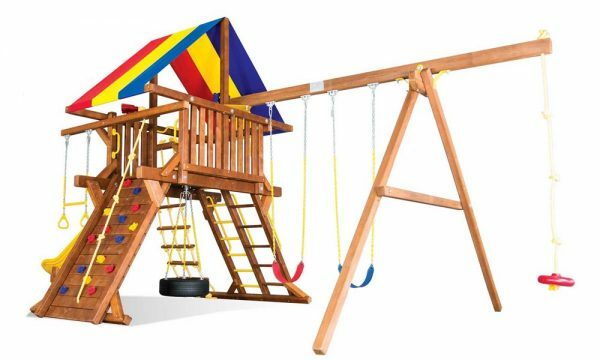 The sturdiest free standing swingsets in the world are made by Rainbow Play! 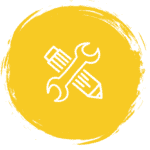 Find out why our structural integrity is second to none. 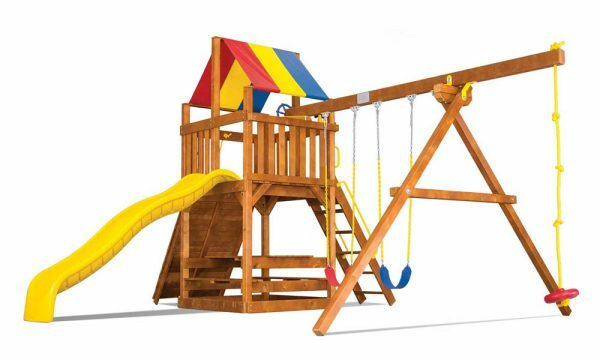 Where children’s safety is concerned, lightweight, wobbly swing sets simply don’t cut it. 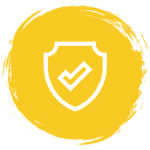 Explore our unmatched safety features. 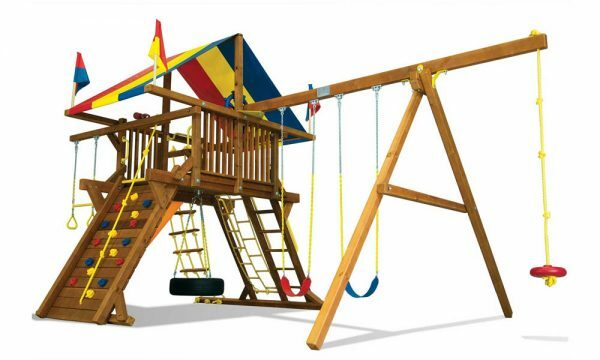 Rainbow swingsets are truly designed to last a lifetime. 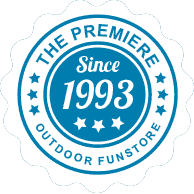 Discover how our industry leading warranty ensures years of intensive play. 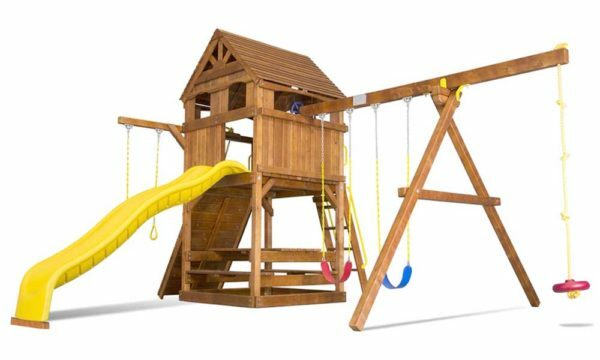 Our professional delivery & installation is available nationwide so you can enjoy your playset without the hassle of setting it up. Need Repairs? Call us with your problems, we're here to solve them. Your child’s Backyard Dreams brought to life. Serving Greater Cincinnati and Northern Kentucky for over 20 years, we have the Largest Indoor Showroom in Cincinnati. 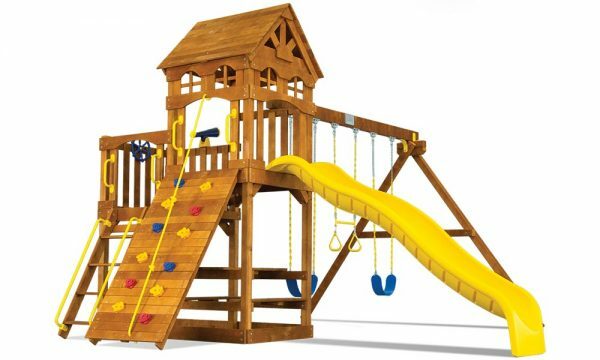 Swings-n-Things is Cincinnati’s premier dealer for backyard fun! 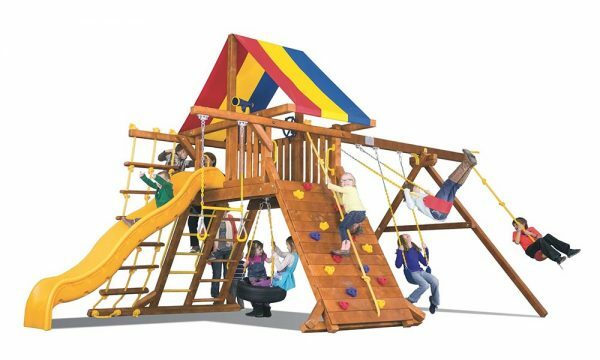 We know visiting the playground is great, but when it comes to convenience, nothing beats having your own backyard playset. 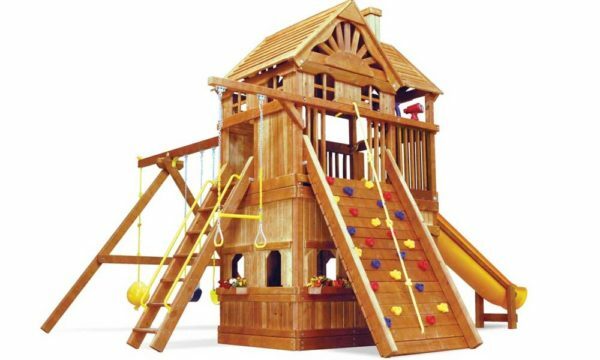 At Swings-n-Things, we know when you’re buying playsets and swing sets for kids and toddlers it’s not just about recreation; it’s an investment in their happiness, health and well-being. 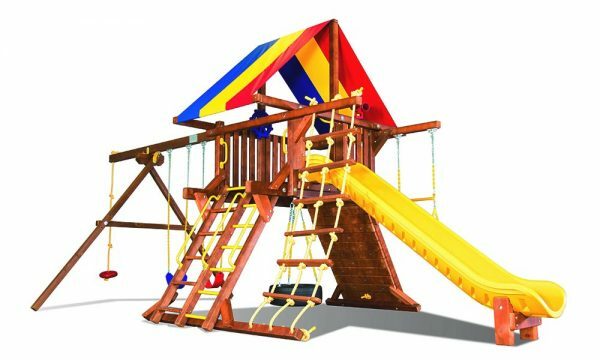 That’s why Swings-n-Things is proud to offer high quality, fully customizable playsets for your family by Rainbow Playsets! 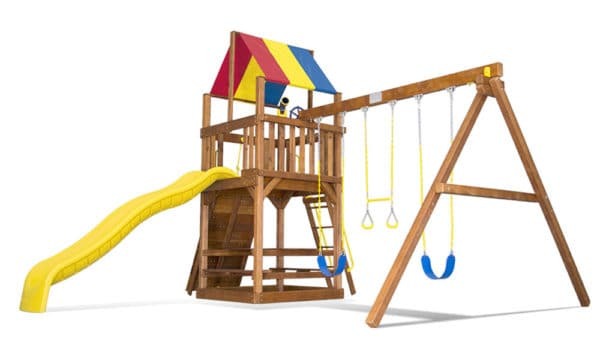 When you’re considering a playset purchase for your family, Rainbow Playsets stand head and shoulders above the competition! 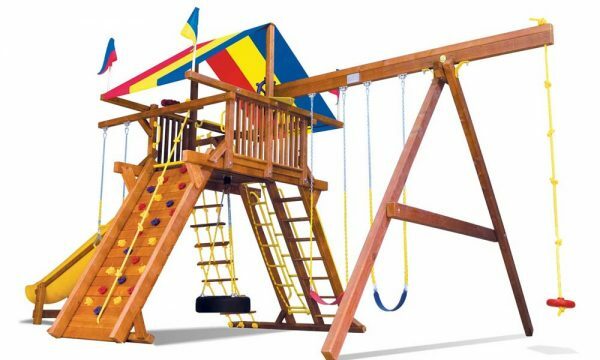 Rainbow Play Systems has more than 30 years of experience in providing exceptional swing sets. 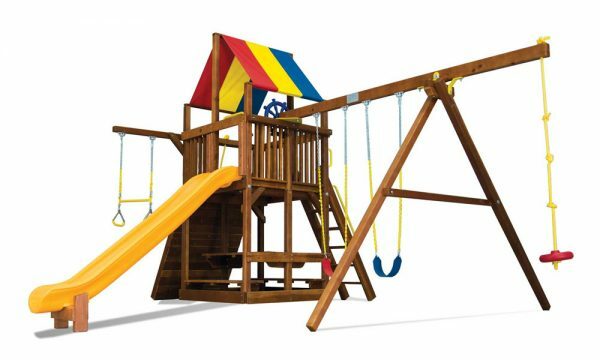 With more than 100 swing set designs to choose from, it’s easy to see why Rainbow is America’s most trusted brand name. 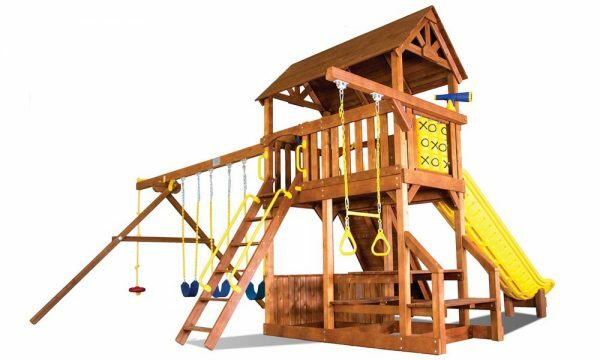 Does my swing set need stained when it is delivered? No, our sets come pre-stained from the factory. Re-staining the set every 2 years is recommended. Do you offer installation for your products? Yes, we have a trusted and professional delivery and installment crew for all of our products. 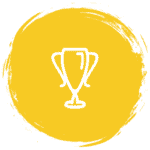 Our average installations take 3-6 hours. 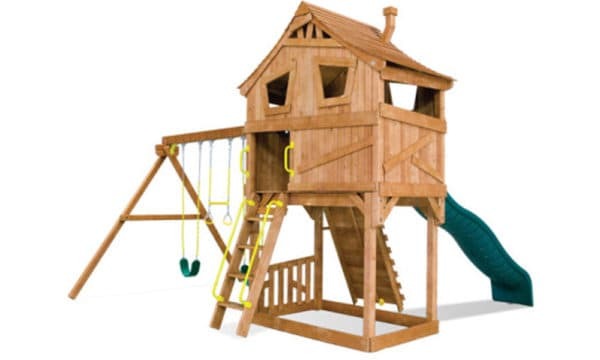 Can I install the swing set myself? Some people are up for the challenge! 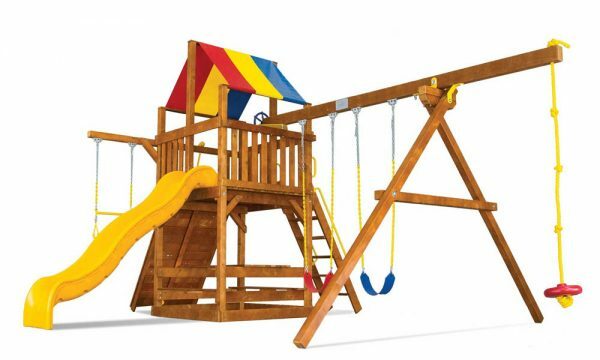 The answer is yes, our swing sets are designed to be assembled by mom and dad too. Most of the components are pre- built. There is no cutting required. Easy to read instructions allow you to install most of our sets in 3 to 8 hours. What types of wood do you use? Can I add on to my swing set later on? That is what sets Rainbow apart from many other companies our one of a kind modular designs. You can start with a basic swing set and add on as your children grow. 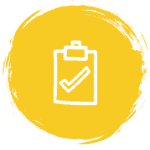 What type of site preparation is needed before installation? Choose a location with a 6’ perimeter around all sides of your swing set. The Site should be fairly level although our sets have some adjust for unlevel yards. We recommend you prepare an area with a resilient surface such as rubber mulch. If we move can I take my swing set with me? 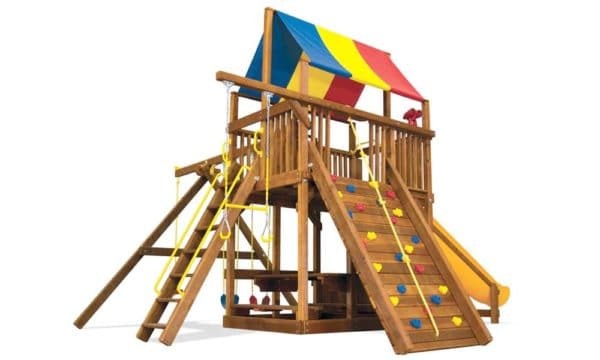 Yes, we offer complete tear down and re install service or we can just dismantle the swing set for the moving company and provide you with an assembly manual if you are moving out of state.